www.termepatient.blogspot.com, the blog of Eaptc, the European Associationof patients and users of thermal centers, is launched today. 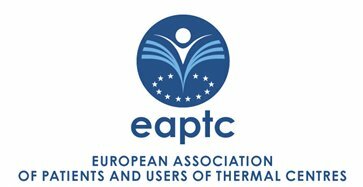 Established in December 2015, Eaptc – alongside its new blog – was conceived for the over 5 million people in Europe that use hydrotherapy with a variety of approaches, including innovative health-thermae insurance formats, with truly positive results in terms of health expectations. All these “thermal guests” were seldom involved so far in Europe in a critical and responsible evaluation of care and treatments for harmonious development of the business. This is why the World Federation of Hydrotherapy FEMTEC (www.femteconline.org), founded in 1937 and with its current President Professor Umberto Solimene, entertaining official relations with the World Health Organization and being aware of this situation, has promoted the “active thermalism” programme, which supported the establishment of the European Association of Patients and Users of Thermal Centres(www.eaptc.net). Professor Alceste Santuari, a Jurist and an international Expert in the businessfrom the Bologna State University, was appointed Secretary General of the Association. "Only a shared patient/user-focused vision of the development of hydrotherapy, driven and supported by specialists in the different sectors, can help promote this ancient, yet modern therapeutic option." says Umberto Solimene, president of FEMTEC "Our goals include ensuring the active involvement of citizens in what we might call “initiative-based medicine”, a typical feature of hydrotherapy, according to a rational, responsible, and critical vision of each individual component of the selected therapeutic or wellness process."